It is by no mere chance that I'm sitting here writing this post. It is because one year ago I was asked to choose between my job and my family. And friends, I chose my family. It was a difficult, heart-wrenching decision made in the heat of a moment, especially because of the shock of being asked to make such a choice, by someone who I had always considered a father-figure. I was making good money, given bonuses and family vacations. I had no idea at the time how we were going to make it on just a third of our income. But it turned out, one-third was more than enough. I am reminded of so many scriptures as I write this post. All of the promises that we've seen come to fruition because we chose to be obedient to His Word. It's amazing actually. We are in constant awe of how God has provided for us over the past year. I am also a bit ashamed that it took me so long to come home to my family. And that is why I am sharing my story. Because we are now richer than we've ever been, and it took taking away most of our income to get us here. Life sure has slowed down. Instead of eating meals picked up on my way home from work, we eat meals cooked in our own kitchen. Instead of throwing everything in a landfill, we recycle and compost. The girls get to come home from school to their mom, and I have time to help them with their homework, and teach them how to garden and cook. We have family meetings and home Bible studies together. We volunteer more at our church together. In fact, we do everything together. I can't think of a job that would pay me enough to make me leave my family again. When I lost my job, I spent so much time feeling sorry for myself and being angry at my old boss. But you know what? It truly was a blessing in disguise. I'd like to say that I cook everything from scratch and my house is perfectly organized and clean. I'd like to say that I know how to can all these vegetables we're growing. I'd like to say my kids don't get sick of me being around all the time and that my husband and I never argue. But that would be a lie and not at all what our blog is about. We want to be good stewards of what God has given us. We want our lives to reflect the gratitude we feel for His saving grace. We want Him to use us for His good works. We are not experts. We are on a journey and invite you to come along with us. And we really appreciate you being here. What a great post! While I wasn't asked to choose between my job and my family, we made a similar decision with similar financial concerns over 8 years ago - and have been reminded over and over that God is SO faithful when we are obedient! 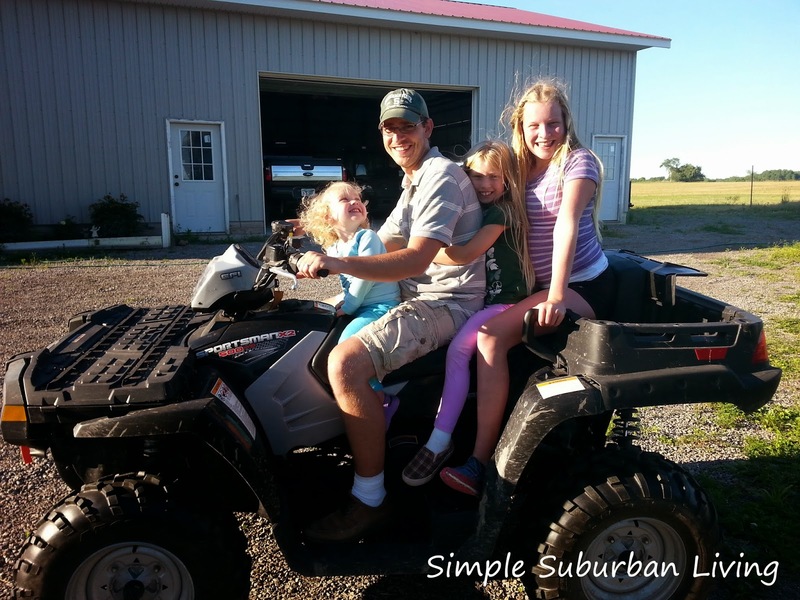 This is a wonderful post and we appreciate you sharing it at Simple Lives Thursday! I know it will help people in similar circumstances. Hope to see you again this week.